ussian researchers looking for the yeti — the Asian version of the North American Bigfoot — claim to have found "indisputable proof" of the long-sought mystery beast in Siberia. 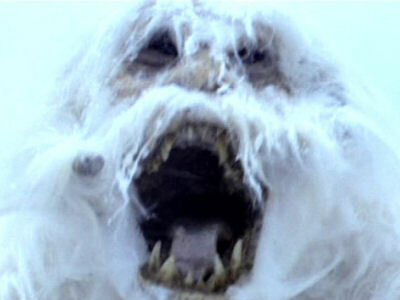 There isn't a ton of evidence to work with — just a few strands of hair and some tracks in the snow — but it's enough that the research team says its 95 percent sure that the yeti exists. Others, however, are mighty skeptical of the findings. Despite dozens of expeditions into the remote mountain regions of Russia, China and Nepal, both creatures' existence remains unproven. Sir Edmund Hillary, who was the first to scale Everest with sherpa Tenzing Norgay, found no evidence of the creature. Famous mountaineer Reinhold Messner also spent months in Nepal and Tibet, climbing mountains and researching yeti reports following his own sighting. In his book "My Quest for the Yeti" (St. Martin's Griffin, 2001), Messner concludes that large native bears are responsible for yeti sightings and tracks. Happy Birthday RACEPAK!!! now strangely NSFW, meh Russians.